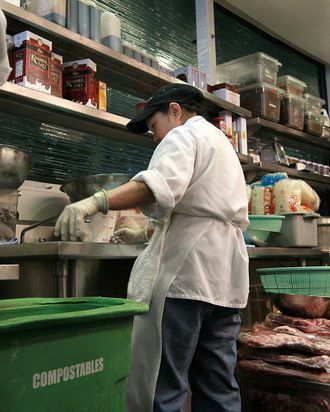 For years, the restaurant industry has thrown legal challenge after legal challenge at a Labor Department regulation that bars kitchen workers from sharing in tips. The fight stretches all the way back to 2010, when the agency responded to a court ruling that allowed an Oregon restaurant to give cooks and dishwashers pooled tips by dashing out a federal law that prohibited the practice nationwide. Suffice it to say trade groups like the National Restaurant Association were displeased with the move, which was essentially a rogue act without congressional approval. But in September, the industry lost its final lower-court appeal, leaving the group with one option: Go harass the Supreme Court. Lower courts have disagreed with that interpretation, but restaurateurs argue that with states’ minimum wages edging towards $15 and the tenor of the topic itself getting more volatile, it’s time to level out front- and back-of-house pay disparities. It’s unclear if SCOTUS has any interest in taking up this case, much less in overturning the lower court’s ruling, but the group sounds optimistic, especially if President Trump manages to ramrod a “business friendly” justice through the Hill and onto the bench in time.